The election flying squad and a team of Income Tax sleuths raided an MLA hostel in Chennai's Chepauk late Sunday night. 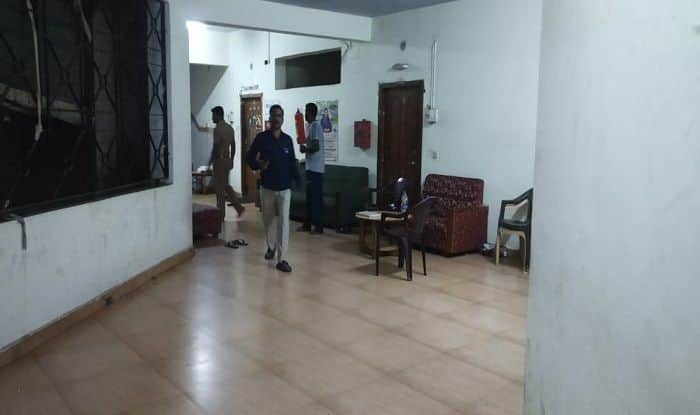 New Delhi: The election flying squad and a team from the Income Tax Department conducted raids at an MLA hostel in Chennai’s Chepauk area last night. Reportedly, rooms of AIADMK MLA RB Udayakumar and two other leaders were searched on Sunday. Recently on April 12, IT officials conducted massive raids at multiple locations in Tamil Nadu- including Chennai, Namakkal and Tirunelveli in early hours of the morning- and seized Rs 15 crore cash. The raids were carried out on suspicion of illegal cash dumps, in view of the Lok Sabha elections 2019. In the first instance, tax sleuths searched the premises of a contractor firm — PSK Engineering Construction Company — on charges of routing and possession of alleged “unaccounted cash”. Three premises in Chennai and four linked to the company in Namakkal were raided. “Rs 18 lakh has been seized from the premises linked to Reddy,” the official said. Documents indicating investment of “unaccounted” funds of Rs 16 crore by Reddy in a Malaysian company have also been seized, the official added. A total cash of Rs 14.72 crore has been seized till now in both the searches.